Less than 3 percent of Americans follow health advice to keep the weight off, exercise regularly, eat five or more servings of fruit and vegetables a day and avoid smoking, according to latest research. Many studies show that people who eat healthily, exercise and do not smoke are far less likely to develop heart disease, cancer, diabetes and other chronic diseases. Yet Americans find it almost impossible to take these steps, Dr. Mathew Reeves of Michigan State University and colleagues found. Reeves and colleagues surveyed 153,000 adults as part of the U.S. government’s Behavioral Risk Factor Surveillance System. 76 percent of those surveyed said they did not smoke. 23 percent included at least five fruits and vegetables in their daily diets. 22 percent exercised at least 30 minutes per day five or more times a week. 40 percent maintained a healthy weight defined as a body mass index (BMI) of 25 or less. And only 3 percent met all four goals, Reeves found. He checked other studies to be sure he was right, and then did an informal poll of people he knew. “They all kind of roll their eyes and go, ‘Nobody does that’,” Reeves said. “This is the problem — the social or cultural norm is not to do that, and it seems like an acceptable situation. People are busy, live in environments more conducive to driving everywhere than walking or biking, and may lack information about the dangers of unhealthy habits, Reeves suggested. But likely the biggest reason is that it is the “norm” to live unhealthy lives. “If most people around you are overweight, and don’t exercise and eat mostly fast food, then it’s very hard to see the need to change the way you are living,” Reeves noted. Reeves said that research shows being healthy can add years to your life, decrease medical expenses, cut your risk of heart disease, and generally improve your quality of life. The U.S. Centers for Disease Control and Prevention has tried to warn of the consequences of poor eating and a lack of exercise. “I think people feel overwhelmed that they have all these healthy choices that they must take, to where they are almost at the point of saying ‘I can’t do it,”‘ said CDC spokesman Tom Skinner. This very interesting study done at Michigan State University found that four factors make up healthy living. Eating at least 5 fruits and vegetables. Exercising 30 minutes per day at least 5 days per week. Maintaining a weight of Body Mass Index 25 or less. The study found only 3% of the United States population meeting all four criterions. The study was done as a survey which means the people write down what they think they are doing rather than what is actually occurring. People tend to see themselves as they would like to be rather than how they actually are. The guidelines used for vegetable and fruit consumption was five fruits and vegetables when the true recommendation is four servings of fruit, six servings of vegetable and only 9% of the American population eat this recommended quantity. Only 35% of the United States is not found overweight or obese. Of this group there are more children not overweight than adults so the adult numbers of maintaining a BMI of 25 or less is at most 25% of the United States. 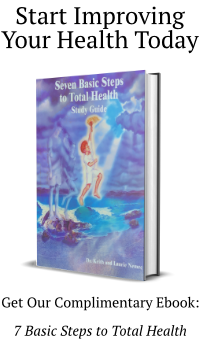 Instead of these four factors of health, there are “Seven Basic Steps to Total Health.” Which less than 0.1% of the United States population are fulfilling the 7 Basic Steps to Total Health below. Air – you must deep diaphragm breathing to oxygenate your body. Water – you must drink 32 ounces of distilled water per 50/lbs per body weight per day. Food – you consume a diet of living/raw plant food which has the highest energy, bioelectricity, enzymes and bioavailable nutrient content to either maintain or restore your health. Sleep – you must sleep 9.5 hours with 3.5 of them before midnight. Exercise – you must exercise 30 minutes every day. 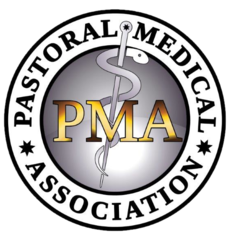 Fasting/Detoxification – you must fast from the normal Standard American Diet (SAD). Prayer – you must take the time throughout your day to regularly still your mind so you can hear the voice of God spoken into your heart. So as you can see, it is not 3% but less than 0.1% that are actually living a healthy lifestyle, a total health lifestyle. Also very important in the observations in this study is that general observation is that people say ‘Nobody does that’, and I can’t do that.” This is a pure and simple untruth. They could do it if they had cancer and were told they have 3 months to live, they could do it if they were diagnosed with heart disease and said they had less than 3 years to live if they didn’t change their lifestyle and diet. They could do it if it were it were a matter of life and death, so if they could do it under any circumstances they could do it under all circumstances. The problem is it calls for change, it calls for work, it calls for sacrifice and a world that is ruled by the flesh-filled old mind never wants to do any of these, so instead it chooses to do what is easy and comfortable not what is more difficult but far more beneficial in the long run. It is up to you. Are you going to obey what the flesh-filled, ego-filled, world-filled mind or are you going to obey the truth-filled heart? The choice is yours but choose wisely because your choice will not only affect you but your family and the generations to come.